This summer has been all about overcoming hurdles – personal, economic and those erected by nature. Having just this week survived an earthquake and hurricane Irene, I submit that most hurdles are surmountable with a little luck, perseverance and lots of preparation. That’s why when I saw the article below I yawned and shrugged of the premise of the piece. 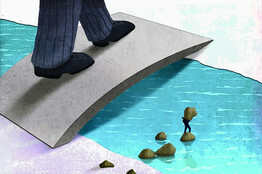 It is another article that talks about difficulties that small companies face in trying to expand abroad. Even though we all may know that doing business abroad is tough and expanding in a new market requires significant resources, this article provides an insightful view that is supported by objective facts as to the benefits of doing business abroad. Yet, one key point is missing. As long as U.S. companies will continue treating business expansion abroad as an afterthought, they will continue to face significant hurdles. Today, help and significant resources, some available at very nominal cost or even free, are available to any small and mid size business seriously committed to international expansion. Granted there are a number of businesses that accidentally fall into international business – they meet a potential customer at a trade show, know a friend of a cousin who has relatives in a foreign country, or by some other unscientific method. Yet regardless of whether the international expansion is accidental or systematic, doing business abroad requires commitment, perseverance and lots of preparation. No self-respecting citizen thinks of risking going out unprotected and unprepared into the hurricane, why would the same person venture into international business unprepared and without proper guidance. Commitment, perseverance and knowledge will prevail every time in the face of limited resources and a competitive market. When Nancy Simmons was contacted by customers in Brazil about buying refurbished aerospace parts from her Orlando, Fla., plant, she wasn’t sure how to handle the language barrier. None of her eight employees spoke Portuguese, and she didn’t have the resources to pay for a local team in Brazil. She wound up turning to a Portuguese-speaking neighbor to help negotiate the deal. Spurred by lower demand at home and a cheaper dollar, a growing number of small-business owners are looking for new customers outside the U.S. But overseas expansion is often harder and more complicated for small businesses, which lack the deep pockets and expertise of larger firms. U.S. exports rose to more than $170 billion in June from $151 billion a year earlier and $128 billion in June 2009, the Commerce Department reported this month. Small businesses helped fuel those numbers, according to Fred Hochberg, chairman of the U.S. Export-Import Bank, which finances U.S. exports. The agency said earlier this month that since October, it has approved a record-high $24.5 billion in export financing for companies of all sizes, including some 2,142 small businesses, up from 2,036 last year and less than 800 in 2006. According to the Small Business Administration, businesses with fewer than 500 workers account for about 30% of total export revenue, or about $500 billion in annual sales. Still, only about 1% of the nation’s roughly 30 million small businesses sell overseas, according to U.S. Census data. Those that do usually work with no more than one foreign market—typically Canada, Mexico, the United Kingdom, Germany or China, Census data show. Tres Roeder, president of Roeder Consulting Inc., a Cleveland, Ohio, project management and training firm, says he’s looking for clients abroad for the first time in the company’s 10-year history. “The overall tide isn’t rising here. But I look at foreign markets and they’re growing,” says Mr. Roeder. While American corporate clients have been cancelling training sessions, more international participants have joined the company’s monthly webinars, Mr. Roeder says. He’s now looking into offering full-time training services in India. But the process has been challenging. Trying to find business advisers with country-specific knowledge and skills has been time-consuming and costly, Mr. Roeder says: “We don’t have a business-development team down the hall to take care of all this.” The company has less than a dozen full-time employees. According to a survey by the National Small Business Association, a Washington lobby group, one of the biggest fears among small exporters is that foreign customers won’t pay their bills. Other concerns include dealing with confusing trade rules or unfamiliar business practices, along with the overall costs of getting export operations off the ground. Ms. Simmons says an unexpected cost for her firm, Aero Industries of the Space Coast Inc., was the need for extra training for her workers. “They were afraid of languages differences, currency differences, religious differences, you name it,” she says. She enrolled them in a training course offered by Florida’s Department of Commerce at a cost of $95 per employee. While small firms often have many of the same costs as larger exporters—such as additional employees to oversee foreign operations, or permit and licensing fees charged by foreign trade authorities—they don’t always have the same access to capital, Ms. Simmons says. Paul Wickberg, chief executive of SOL Inc., a Palm City, Fla., manufacturer of solar-powered outdoor lighting, says about 30% of his company’s business is now outside the U.S., up from just 5% before the recession. The company, which supplies street and pathway lighting to local municipalities, lost about 30% of its sales when infrastructure funding from the economic stimulus program expired last year, he says. “Now we’ve got to find places where there’s high demand and more money,” Mr. Wickberg says. The company already does business in South America and Africa, among other regions, and is currently working on a deal in Australia. Mr. Wickberg says the biggest obstacle he faces are taxes charged by foreign governments on imported products. Higher import duties can make it difficult for smaller U.S. firms to be competitive in a regional market, he says. Mr. Hochberg of the Export-Import Bank says the shift toward exporting is likely a permanent change in the way many small American firms are now doing business. “Once they start selling abroad, they’re selling abroad,” he says. Washington, D.C.- Deputy United States Trade Representative Ambassador Miriam Sapiro and Israel’s Director General of the Ministry of Industry, Trade, and Labor, Sharon Kedmi, this week reached agreement on a process to further their shared commitment to expand trade and investment between the United States and Israel. They applauded progress on trade and investment issues since a meeting between Ambassador Kirk and Minister Ben Eliezer in Washington in October 2010, and agreed to a plan that will guide future discussions and develop further as those discussions evolve. They also agreed to redouble their efforts to make further progress ahead of the U.S.-Israel Free Trade Agreement (FTA) Joint Committee meeting, to be held later this fall. “The Obama Administration places great importance on the relationship between our countries, and we will continue our collaborative efforts to expand trade and investment opportunities for American and Israeli exporters and investors,” said Ambassador Sapiro. The two sides also agreed to explore ways to realize fully the potential benefits of the U.S.-Israel trade agreement, including through the further liberalization of trade in services and agriculture and the removal of trade-restrictive measures. Ambassador Sapiro and Director General Kedmi also committed to consider cooperation in other areas, including addressing regulatory issues which might be impeding the movement of goods, services and capital between the two countries, in consultation with relevant stakeholders. Las Vegas, NV – Yesterday at the MAGIC textile trade show, USTR announced the launch of a new online directory that will help to enhance textiles trade and attract job-supporting investments to the United States and six trading partners who are parties to the Dominican Republic-Central America-United States Free Trade Agreement (CAFTA-DR). Gail Strickler, Assistant U.S. Trade Representative for Textiles, and Daniel Vasquez, Senior Trade Consultant at the Inter-American Development Bank (IDB), took part in the launch. The DR-CAFTA Sourcing Directory is a timely and practical tool that will help American firms and their estimated 395,000 workers in the U.S. textile industry seize regional trade opportunities in support of small businesses and jobs here at home. Building better connections between textile buyers and manufacturers will facilitate additional investment in the region, including increased sourcing of textiles and apparel in CAFTA-DR member countries, as well as attract increased sourcing of textiles and apparel to the Western Hemisphere. The Directory will be featured at MAGIC from August 21-24 in the first ever “Sourcing in the Americas Pavilion,” hosted jointly by USTR and the U.S. Department of Commerce. The Pavilion will also feature 75 exhibitors from throughout the Western Hemisphere, including booths sponsored by the U.S. Department of Commerce (Office of Textiles and Apparel) and the Textile and Apparel Business Council of Central America and the Dominican Republic (CECATEC). You can view the directory here. You can view background information here. WASHINGTON, D.C. – U.S. and Liberian officials met this week in Washington to review progress in deepening their partnership on trade and investment under the United States-Liberia Trade and Investment Framework Agreement (TIFA). This was the third meeting of the United States-Liberia TIFA Council, which provides a high-level forum for advancing cooperation on bilateral trade and investment issues. Deputy U.S. Trade Representative Demetrios Marantis and Liberian Minister of Commerce & Industry, Miata Beysolow, co-chaired the day-long meeting on Wednesday, August 17, which examined the two governments’ work together on a number of trade-related issues, including: implementation of the African Growth and Opportunity Act (AGOA), trade capacity building, export diversification, trade and investment promotion, infrastructure issues, and Liberia’s accession into the World Trade Organization (WTO). Minister Beysolow was accompanied by a high level delegation of Liberian Government officials, including Minister of Agriculture, Florence Chenoweth; Minister of Post and Telecommunications, Frederick Norkeh; Minister of Transport, Willard Russell; Chairman of the National Investment Commission, Natty B. Davis; Deputy Minister of Finance for Revenue, Elfrieda Tamba; Deputy Minister for Economic Affairs and Policy, Sebastian Muah; and Assistant Minister of Commerce and Industry, Aletha Brown. Following government-to-government consultations under the TIFA, meetings were held with the U.S. business community at the U.S. Chamber of Commerce and the Corporate Council on Africa. During these meetings Liberian officials outlined the many policy, legal, and regulatory steps that have been taken to encourage investment in Liberia and U.S. businesses had the opportunity to discuss their interests and questions about doing business in Liberia. In 2010, the U.S. and Liberia’s total two-way goods trade was $370 million. U.S. goods exports to Liberia totaled $190 million in 2010, up 102 percent from the previous year. Top U.S. exports were medical instruments, vehicles, cereals, and iron and steel products. U.S. goods imports from Liberia totaled $180 million in 2010, up 124 percent from the previous year. Top imports from Liberia last year were rubber, oil, and precious stones (diamonds). This week, the Textiles team at USTR is attending the MAGIC trade show in Nevada. MAGIC is the largest trade event for the textiles and apparel industry in the United States, convening thousands of business leaders in textiles, fashion and accessories twice a year to share planning and sourcing tools. The trade event kicked off in Las Vegas on Sunday and will wrap up today. This week at MAGIC, over 20 Haitian firms are showcasing garments from t-shirts to tuxedos at the “Sourcing in the Americas” Pavilion. Sponsored by the U.S. Agency for International Development (USAID), the “Made in Haiti” exhibit showcases the Plus One for Haiti program and the continued recovery and growth in the Haitian apparel industry. The Haitian companies are present along with other regional manufacturers in a series of events at the Pavilion designed to strengthen the textile and apparel supply chain in the Western Hemisphere. To recognize successful exporters and get the word out about how the federal government can help, we’re sponsoring the YouTube Export Video Contest. The contest, presented in partnership with the National Export Initiativeand Export.gov, will award monetary prizes to five successful small business exporters representing a variety of industries. American small businesses looking to expand are going global. There are a number of advantages to exporting: reaching new customers, increasing sales and profits, and becoming less dependent on domestic demand, to name several. In fact, over two-thirds of the world’s purchasing power is based outside the U.S., where the vast majority of consumers reside. The U.S. government stands ready to help your small business get started in exporting, with an array of programs, tools and resources. We want to hear your exporting story in a short, original video submitted to YouTube. Winners will be given cash prizes, an expenses-paid trip to be honored at the National District Export Council Conference** in Las Vegas, Nevada from November 2-5, 2011, and $1,000 towards a Commerce Department Gold Key service, or various other trade-related events. To enter, submit your video starting August 1, 2011 through September 3, 2011, and tell us: where will your next customer come from? For more information, visit the official contest website: http://www.sba.gov/exportvideocontest. After visiting Los Angeles and San Francisco as part of a three-day jobs tour, Ambassador Kirk traveled to Sacramento, California on Thursday to host an agriculture roundtable discussion with Secretary of the California Department of Food and Agriculture Karen Ross. The roundtable focused around how the pending trade agreements with South Korea, Panama, and Colombia will benefit California’s workers, businesses and farms. Deputy U.S. Trade Representative Demetrios Marantis and Liberian Minister of Commerce & Industry, Miata Beysolow, co-chaired the day-long meeting on Wednesday, August 17, which examined the two governments’ work together on a number of trade-related issues, including: implementation of the African Growth and Opportunity Act (AGOA), trade capacity building, export diversification, trade and investment promotion, infrastructure issues, and Liberia’s accession into the World Trade Organization (WTO). Minister Beysolow was accompanied by a high level delegation of Liberian Government officials, including Minister of Agriculture, Florence Chenoweth; Minister of Post and Telecommunications, Frederick Norkeh; Minister of Transport, Willard Russell; Chairman of the National Investment Commission, Natty B. Davis; Deputy Minister of Finance for Revenue, Elfrieda Tamba; Deputy Minister for Economic Affairs and Policy, Sebastian Muah; and Assistant Minister of Commerce and Industry, Aletha Brown. The U.S.-Liberia Trade and Investment Framework Agreement (TIFA), signed in February 2007, established a formal, high-level dialogue to address bilateral trade and investment issues and to enhance economic engagement between the United States and Liberia. The previous TIFA Council meeting was held in Monrovia, Liberia in March 2009.
Business Abroad Drives U.S. Profits, but is SME sector being left behind? For those businesses whom have not yet internalized that in today’s day and age the international expansion, whether by means of exporting, or foreign direct investment (FDI), must be an integral part of their operations, the article below offers a convincing argument. Yet, if a reader merely scans it, one factor clearly stands out: the list of beneficiaries of foreign expansion is dominated by well-known large U.S. corporations names. Does it mean that international business for American companies is dominated by large corporate players and excludes the Small and Medium Enterprise (SME) sector? Alas, the answer is both Yes and No! Large U.S. corporate players have been dominant players in the international arena for centuries. These corporations have human and financial resources, infrastructure, global brand recognition and well-deserved reputations for quality. Many SMEs have been also present in international markets, primarily exporting their wares to anywhere between one and three countries. Yet, as the international arena has become increasingly competitive, it has been much more difficult for SMEs to enter new markets or compete on their own in foreign lands where they have been doing business. All this at the time when a domestic slow down is forcing many SMEs to develop or expand their international strategies constraining them with tight lending markets, limited resources and increased regulation. Despite such constraints there has been clear increase in SME international expansion. Yet, much more can and should be done. One highly effective tool for enabling SME international expansion is a Multidisciplinary Alliance. Under such an arrangement a number of SMEs with complimentary skills combine and retain their brands and identities under a common umbrella for a common purpose. For example we have had considerable success with the Princeton Healthcare Alliance, which counts among its participants various equipment manufacturers and service providers, doctors, healthcare facility managers, educators, hospitals, attorneys, financiers, logistics professionals and builders. Such an alliance essentially creates a virtual corporate giant, and yet is still nimble able to draw on highly specialized skills of its participants in each functional area. As Princeton Healthcare Alliance members, each participant (remove “s”) is able to pursue business opportunities normally not available to individual SMEs. From the client’s standpoint – those who usually comprise foreign governments or large corporate enterprises in host countries – such alliances are beneficial. They provide a single point of contact and contract negotiation, transparent service providers, lower pricing, increased execution speed, better customization to address their needs, ability to choose best in class services and products, all under one easy to use common umbrella. The success of the Princeton Healthcare Alliance has inspired creation of the Public Safety, Telecom, Hospitality and Education Alliances, all currently under development. Thus, in order for U.S. SMEs to bolster their profits and assure long-term survival independent of the U.S. economic situation, senior management of practically every SME must develop and implement a viable international strategy. Becoming part of an international busines alliance is one way to pursue international expansion. I would be pleased to discuss other available techniques that companies may deploy to become “Fluent In Foreign Business”*, and take a rightful place among U.S. success stories of businesses excelling abroad. A few of these companies are mentioned below. Hope you enjoy the article and, as always, I welcome your comments and questions. While the U.S. economy is struggling, U.S. corporations aren’t. A third of the way through the second-quarter reporting season, earnings at companies in the Standard & Poor’s 500-stock index are the highest in four years, according to S&P analyst Howard Silverblatt, who predicts the second half will be even stronger. Yet there is little indication that the strong results will jump-start the U.S. economy and get the millions of Americans idled by the recession back to work. About three-quarters of the companies that have reported so far have done better than analysts expected. Many of them—ranging from manufacturers Honeywell International Inc. and Caterpillar Inc. to drug maker Abbott Laboratories—raised their earnings forecasts for later in the year. Corporate profits—one of the few areas of strength in the limp U.S. recovery—appear to be weathering the economy’s soft patch. But the gains in many cases have come from international operations, particularly in emerging markets that aren’t struggling with the debt problems and other uncertainties that have consumed policy makers in the U.S. and Europe. “We aren’t creating jobs,” said Paul Huck, chief financial officer of Air Products & ChemicalsInc., on a conference call with analysts and investors Friday. Air Products, which supplies argon, oxygen and other industrial gases to retail, manufacturing and construction customers, expects to split its capital investments about equally between the Americas and Asia this year, but the balance is shifting. “We think that that number starts to tilt more toward Asia going forward,” Mr. Huck said. Companies as diverse as industrial conglomerate United Technologies Corp., toy maker Hasbro Inc. and fast-food giant McDonald’s Corp. have pointed to strength in their operations outside the U.S.
General Electric Co., which reported a 21% increase in earnings to $3.8 billion for the second quarter, saw U.S. revenue in its core industrial businesses shrink about 3.4%. International industrial revenue, meanwhile, soared 23% to $13.4 billion, accounting for about 59% of the company’s total industrial revenue. “We’re seeing a slow-growth environment here in the U.S.,” said GE Chief Financial OfficerKeith Sherin, in an interview. The picture is much different in foreign markets, however. Each of GE’s international divisions logged double-digit revenue growth for the quarter, led by a gain of 91% in India. At its China business, revenues rose 35% to $1.2 billion, and orders increased 80%. “Our global growth was especially strong,” Chief Executive Jeffrey Immelt said Friday on a conference call. The growth has helped GE build a record order backlog of $189 billion. Earlier this month, Mr. Immelt told workers at a power-turbine factory in Greenville, S.C., that GE would continue to expand employment in the markets where it sells its products, adding that he aims to keep about half the company’s workers in the U.S. But every gas turbine manufactured by the 3,000 workers at the plant is destined for export, he said. GE has about 46% of its 287,000-person work force in the U.S., where it gets about 40% of its revenue. The company’s work force shrank by 17,000, or around 5.6%, last year, including 1,000 American jobs. GE is adding about 125 workers at the Greenville facility this year and is also adding 1,000 jobs at its unionized appliance-manufacturing plant in Louisville, Ky.
U.S. multinational corporations cut their work forces at home by 2.9 million during the 2000s while increasing them overseas by 2.4 million, according to data from the U.S. Commerce Department. In all, U.S. multinationals employed 21.1 million people in the U.S. in 2009 and 10.3 million elsewhere. Honeywell, which makes aerospace, building-control and safety products, said its second-quarter profit jumped 43% to $810 million, as sales rose nearly 15%. It bumped up its forecast for the full year. The company is hiring engineers and sales representatives, Mr. Anderson said, but is looking for ways to improve productivity and reduce costs in parts of the business that don’t deal directly with customers. Wary of increasing costs and jobs, given the economic uncertainties, companies are putting much of their big cash hoards into buying back shares. GE generated $4.4 billion of cash in the second quarter, bringing its consolidated cash holdings to $91 billion. It plans to use some of its cash to buy back $3.3 billion of preferred stock it issued to Berkshire Hathaway Inc. during the financial crisis and to continue its common-stock buyback program. Unlike many companies, Caterpillar is expanding its U.S. work force. The world’s biggest maker of construction and mining equipment, based in Peoria, Ill., said Friday it increased its global work force by about 17,000 position, or 15%, in the year ended June 30, excluding acquisitions and divestitures. About 6,000 of the new jobs were in the U.S.
Caterpillar, which reported a 44% increase in second-quarter profit to $1.02 billion, said it expects to spend about $3 billion on capital projects this year, roughly half of it in the U.S. The company is building new plants or expanding old ones in Illinois, Texas, North Carolina, Indiana and Arkansas. Some of the investments will help the company serve the North American market, including domestic buyers who prefer a U.S.-made product, and free up overseas plants to supply China. But foreign demand is also a factor in Caterpillar’s U.S. expansion. About 90% of the large mining trucks Caterpillar makes in the U.S. are exported. Sales in North America, which accounts for about 35% of Caterpillar’s revenue, rose 26% in the latest quarter, compared with gains of 34% in Latin America and 41% in the Asian-Pacific region. Overall revenue rose 37% to $14.2 billion.In its earnings statement, Caterpillar chided U.S. policy makers for a “lack of clarity” in such areas as government deficit reduction and tax policy and for “the absence of a long-term plan to improve the country’s deteriorating infrastructure.” A lack of confidence among businesses is impeding job creation, it said. Caterpillar welcomed recent signs of slowing growth in China, where authorities are using higher interest rates to fight inflation. “We all knew that market was way too hot,” Doug Oberhelman, Caterpillar’s CEO, told analysts in a conference call Friday. A slowdown in China would allow companies to “reconnoiter” the Chinese market and make sure they aren’t adding too much capacity there, he said. He added that he doesn’t expect any “crash” of the Chinese economy and still sees strong long-term growth there. Harley-Davidson Inc., whose earnings more than doubled in the second quarter, said retail sales of its motorcycles rose in the U.S. for the first time since the fourth quarter of 2006. Still, the company isn’t fully exhaling. 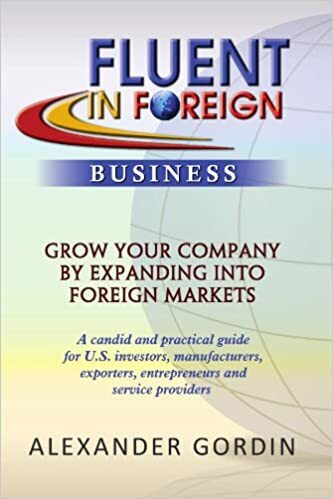 * Please note that my latest book “Fluent In Foreign Business” on how to enter foreign markets and grow companies internationally, is now also available as eBook on amazon.com and Barnes and Noble (www.bn.com). Washington, D.C. – The Office of the United States Trade Representative (USTR) today announced the country-specific in-quota allocations under the tariff-rate quotas on imported raw cane sugar, refined and specialty sugar and sugar-containing products for Fiscal Year (FY) 2012.Tariff-rate quotas allow countries to export specified quantities of a product to the United States at a relatively low tariff, but subject all imports of the product above a pre-determined threshold to a higher tariff. On August 1, 2011, the Secretary of Agriculture announcedsugar program provisions for FY 2012. The in-quota quantity for the tariff-rate quota (TRQ) on raw cane sugar for FY 2012 is 1,117,195 metric tons* raw value (MTRV), which is the minimum amount to which the United States is committed under the World Trade Organization (WTO) Uruguay Round Agreements. USTR is allocating the raw cane sugar TRQ of 1,117,195 MTRV to the following countries in the quantities specified here. Washington, D.C. – U.S. Trade Representative Ron Kirk issued the following statement today regarding comments from Senate leaders on the pending trade agreements with South Korea, Colombia, and Panama, as well as a bipartisan compromise to renew key Trade Adjustment Assistance reforms. Boon Edam, located in Lillington, North Carolina, has been a leading manufacturer of revolving doors and turnstiles for over 100 years. The business is just one of many that rely greatly on exports to Colombia and Panama. Current sales to Caribbean and Latin American countries account for 10 percent of the company’s total exports. Of this amount, Colombia and Panama account for 10 to 15 percent of sales.